Fair Value of the new Suspiria: $0.00 . 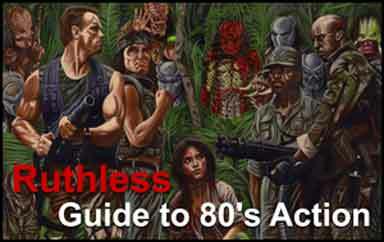 There are so many better films that this remake derives from. The original Suspiria, The Ninth Gate, Lords of Salem– for films about witchcraft, you have a lot of more striking options. Catholic Horror versus Protestant Horror: Watching this remake of a genre-defining Giallo film made me realize that there are generally two approaches towards the supernatural in horror cinema, which evenly creates a divide in European and American horror cinema. The Catholic Horror film accepts the premises of a supernatural world. Examples of this film would be The Exorcist, The Witch, and the original 1977 Suspiria. In this mode of horror, there really is a conflict between the forces of good and evil. Faith and innocence can be tools of defense, if not impermeable shields. Evil and the devil are real forces, and the horror of the film comes from the confirmation of superstition- the realization that myth is reliable, while science is not. Protestant horror deals with the supernatural with denial and exasperation. The themes of Lovecraft are more at play here: that while there is phenomenon beyond mortal comprehension, no protection exists as a consequence of having lore or faith, or morality. Examples of this approach in horror cinema includes The Ring, The Shining, Blair Witch Project. Here, the horror stems from exasperation and denial: the supernatural is presented, but the narrative abstains from offering easy explanations, or a discernible sense of a supernatural order. 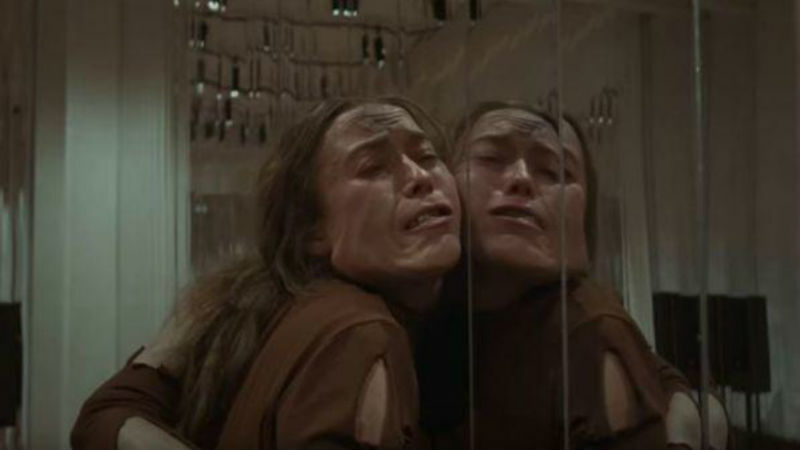 The narrative difference between the 1977 Suspiria and the 2018 Suspiria is this difference. The original film started as a mystery: it is only gradually that we get to learn about the witch coven, and how it works, and what it is trying to do. In the modern remake, we get a large amount of exposition tipping us off to what is going on, and who the witches are. Luca Guadagninos film also lacks in pacing, and consequently, suspense. There are no equivalents to Argentos breathtaking opening sequence, a cold open that leaves the audience completely ready for anything to happen. Instead, the film starts slowly, begins to build to some moments, but then completely collapses in the climax. There are interesting themes in this film. 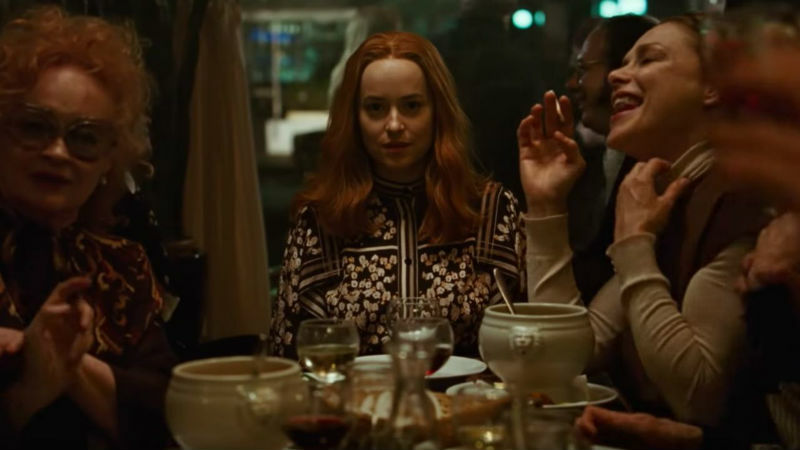 The best part of this remake is in the chemistry between Tilda Swinton and Dakota Johnson- a fraught dance between mentor and mentee, where neither character seems sure as to whether the ingnue is being groomed as an apprentice, or as a sacrifice. In the hands of a director who was more patient to build the emotional rapport, this could have been powerful stuff. Unfortuately, Gaudagnino is too disjointed. A Failure of Cinematography: I was amazed that an Italian director made this film. In terms of the filters, the framing, the movement of the shots, this film is borrowing from the styles of Verbinski, Rob Zombie, and Roman Polanski. The color is consistently muted. Its the stylistic antithesis of the Giallo style- lots of muddiness and shadow. This director does not trust the shots of the film to speak for themselves. I was reminded of Gus van Sants bloodless 1998 remake of Psycho, which managed the rare feat of being simultaneously faithful shot by shot yet holistically completely detached from the original film. Here, Guadagninos art-house pretension is random and scattershot. Instead of building an escalating sense of place mountingly unmoored from reason and reality, his videography just sabotages and underwhelms any ability on the part of the audience to immerse themselves in the setting of the film. 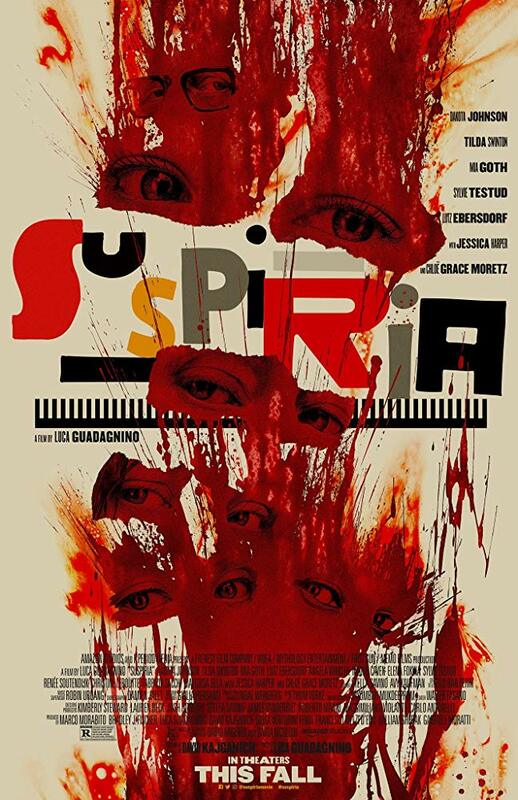 Watching this made me long for a woman’s remake of Suspiria, one that explored the idea of tensions between the coven and the students, one that had empathy as well as choreography. It takes a certain talent to make Dakota Johnson and Mia Goth dancing naked into something so unappealing and unattractive. The 2018 remake is a demonstration that it is possibly to be technically adroit and sophisticated as a film-maker while completely incompetent as a dramatist. I’d recommend Luca Guadagnino to anyone as an assistant director or project manager; but his capacities as a storyteller are dull and underwhelming.